The StarShipSofa this week puts out a cracking tale from SF writer Pat Murphy. The story is called Going Through Changes and was first published in the Magazine of Fantasy & Science Fiction in 1992. When I asked Pat Murphy if she would allow me to get this story narrated… she agreed straight away, saying she was more than happy to donate a story to the StarShipSofa Audio collection. She also went on to say this was one of her favorite tales and… it’s one of mine. It is narrated by Summer, a SF podcaster herself over at Slice Of SciFi and what a narration she does – it’s first class. And… what is really nice, Summer has offered to narrate another tale for The Sofa! Can’t get better than that? All our stories will be delivered free through our feed and will always be available through our Sofa Audio part of the site. 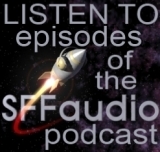 So… kick off your shoes… put you feet up and listen to the best in science fiction audio tales… from your friendly StarShipSofa. I love how Tony talks, and guess what, he writes just like how he talks – “oral delights” – just what kind of show is this? Star Ship Sofa has consistently proved that it is THE podcast place in which you’ll find discussion of SF authors and their works. At this very moment I’m listening to Tony talk knowledgeably about Hal Clement (Show #73 |MP3|) – for some reason his sidekick, the unflappable Ciaran O’Carroll is absent from the latest show). At the root of all major religions is the simple, powerful assumption that every human being is capable of changing his character. With this premise, Nirvana, Salvation, and Enlightenment are opened to each of us, no matter what lies in our past. The logical extension beyond ourselves is that we are obliged to forgive our fellow man for his transgressions against us, because to do otherwise would deny him the possibility of redemption. Gandhi, Christ, and King have demonstrated that it takes a great deal of sacrifice and patience to follow this idea to its full conclusion, but the resulting justice for friend and foe alike cannot be won by anything less. The vast bulk of our literature, however, belies our preference for punishing our enemies rather than enlightening them. Fantasy literature, in particular, usually frames central conflicts in terms of absolute good and evil, and shuns the possibility of change on either hand. Science fiction often simply avoids the issue by casting an inhuman force as the antagonist, such as a robot, an alien, or some crisis of scientific circumstance. But even so, these conflicts often favor a single-minded, unyielding approach to resolution, with a clear victor and a clear loser. This is especially true in the watered-down SF found in popular media. 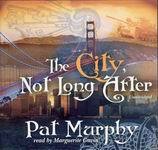 Pat Murphy’s intriguing novel The City, Not Long After offers an exception to these rules, although it, too, flinches at the moment of truth. 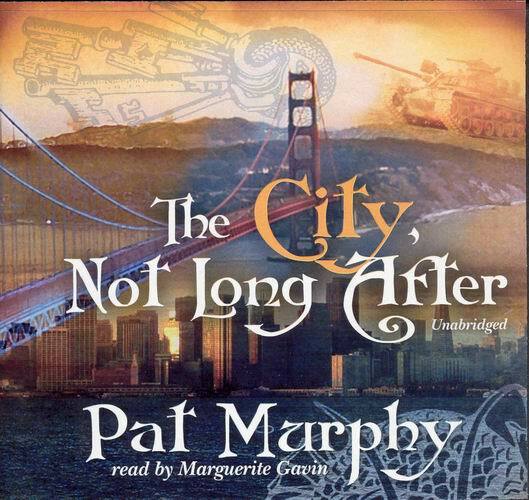 Apocalyptic fantasy is virtually defined by final clashes between good and evil, but Murphy’s post-apocalyptic tale pits peaceful artists against aggressive warriors in a future San Francisco that has been largely depopulated (along with the rest of the world) by a plague. The inhabitants of San Francisco are mostly bizarre artists, and they are struggling not only for their social freedom against an invasive force led by the militant General Nathan “Four Star” Miles, but for creative freedom against the incursions of a conformist society. In order to preserve their art and their free spirits, they make their resistance non-violent, and Pat Murphy takes the opportunity to make the resulting action interesting and original. In the course of it, she offers a clear-eyed examination of some darker elements from America’s past and present, and a scathing review of militant patriotism, both of which seem startlingly out of place in our current culture of eternal, chest-thumping war. The best thing about this book is that, despite the description of its conflict above, it does not devolve into a moralistic sermon. In fact, the conflict which defines the plot takes up less than ten per cent of the novel. The rest of the time is spent developing the strange, arty, self-important characters who populate San Francisco. I’m not a big fan of characters (real or imagined) who go around proclaiming themselves artists, bemoaning society’s inability to recognize their gifts, and sculpting execrable statuary out of cold cream jars, but I ended up liking these people, especially Danny Boy and Jax, who provide the novel’s axis. They have real wounds and real tenderness that win out over their purposeful strangeness. Marguerite Gavin’s narration was the perfect foil for these exotic, New Agey artists, for her voice is almost surgically precise and antiseptically clean. Her syllables are razor-edged for Jax and for the general narration, so the laid-back stoner voice she conjures for Danny Boy comes as a revelation. Gradually, I came to relate to almost all the voice characterizations, except for that of “Four Star”, who sounds more like a parody of a wicked military man than a real human being. Thematically, I ultimately found the book to be a failure. The first problem is that our non-violent heroes require a discouragingly huge amount of supernatural help to stand a chance against bullets and bombs. The second is, to be vague enough not to spoil the book for you, that the climax is a cop-out. Murphy spends considerable time in the denouement trying to rub out this flaw, and she does succeed in provoking some thought, but nothing can cover the capitulation of the resolution. That said, I still recommend this book. Murphy’s characters and situations are complex, vital, and often inspiring. It is far more interesting to watch her try and fail to deliver on her moral premise in this book than simply to wallow in the philosophical shallowness of summer-multiplex violent justice. At least The City Not Long After will make you both think and feel a little, and that is no small achievement. In this novel by Pat Murphy, the main character (Susan) and her friend Pat (er… Pat Murphy) take a cruise from New York to Europe. On this cruise is a fiction writer named Max Merriwell who offers a writing class that an uncertain Susan is eager to take. Max Merriwell writes not only under his own name, but also under the pseudonyms Mary Maxwell and Welton Merrimax. Rather quickly, Welton Merrimax starts to appear at various places on the cruise ship, and so does Mary Maxwell, which confuses everyone because, well, they’re supposed to be just pseudonyms. Thus begins an entertaining, wild ride of a novel in which alternate realities intersect and events from Max’s novels start to become real. I went to Pat Murphy’s website and was pleased to find out that the novel is the third book in a wild experiment. 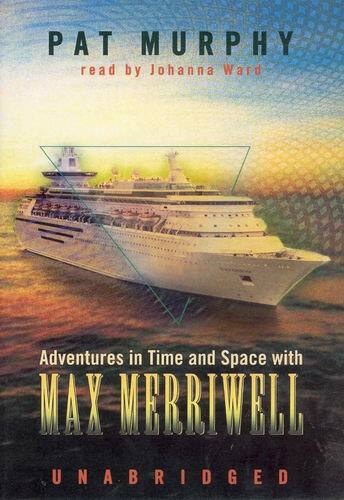 Pat Murphy says, “Adventures in Time and Space with Max Merriwell is an adventure story about the nature of fiction.” This nugget opened up so much more of the novel for me – enough so that I’m eager to listen again. It turns out that Murphy published three novels: There and Back Again by Max Merriwell (which is described as the story of The Hobbit retold as space opera), Wild Angel (which “borrows its premise from Tarzan of the Apes“) by Mary Maxwell (a pseudonym for Max Merriwell), and this novel, Adventures in Time and Space with Max Merriwell by Pat Murphy. All the novels were published as written by Pat Murphy because her publisher felt the confusion would be too great to overcome here in the real world. Click here for some notes on Pat Murphy’s (who apparently is real) website to unravel the full story. With all that said, this delightfully quirky novel works stand-alone. I enjoyed it enough to desire the added depth that finding and reading these other two books and re-listening to this one will undoubtedly provide. Listening again will be a pleasure because Johanna Ward performs well, deftly handling the mayhem that must have had her scratching her head a time or two during production. Her voice is pleasant and a very nice match to this material. I’m a fan of Orson Scott Card’s Ender novels, so this was a real treat. It contains 4 stories, one of which is the original Ender’s Game novella, the others stories from various places on the Ender timeline. All of Card’s unabridged Ender novels are being re-released by Audio Renaissance. Here’s the latest of Ben Bova’s Solar System novels. I’ve heard Mars and Return to Mars, but I’m not sure how these novels are related to this one, Venus and Jupiter. I talked a bit about this last month, but it was really released in September, so here it is again. I’ve got this one in my to-be-heard pile and I’m eager to get to it. I know very little about Pat Murphy, but I see she won a Nebula Award for the novel The Falling Woman, which I don’t think is available on audio. Jesse: Pat Murphy won a hugo and a nebula for a short story called “Rachel In Love”, which is a love story from the point of view of a chimpanzee. It’s been recorded a couple of times. There was also a single cassette collection of her short stories published by Durkin Hayes called “Points Of Departure”. I’m starting to see this one everywhere, but haven’t received any feedback from anyone on it. It’s aimed at the YA market – 9-12 year-olds – and is a prequel to Peter Pan. I may have to listen just to hear another Jim Dale performance. There’s an audio sample on Brilliance’s website. James Patrick Kelly adds three more stories to Free Reads, a section of his site where you can download free audiobooks (MP3 format) of his stories. Included now are “Faith”, “The Best Christmas Ever”, and “Serpent”. Jesse: This is an awesome value – cool and funny stories read by James Patrick Kelly and all it costs you is guilt if you don’t donate something to his future recording fund. This is an hour-long CD that contains readings of some children’s books by Neil Gaiman. Included are: The Day I Swapped My Dad for Two Goldfish, Wolves in the Walls, Cinnamon, and Crazy Hair. Jesse: Looking forward to this collection. I was worried this was just another repackaging of Coraline and the two Seeing Ear pieces. Glad to see it is all new to audio! As reported here early this month, Paperback Digital is online with two new MP3 format audiobooks for sale: Spirits in the Wires by Charles de Lint and 1634: The Galileo Affair by Eric Flint and Andrew Dennis. I haven’t heard either of them, but they appear to be professionally done with William Dufris and Christine Marshall narrating. These books are available as downloads or on MP3-CDs. The Merchants of Venus by A.H. Phelps, Jr.
Jesse: Coming out of the blue as it did, Paperback Digital is the most exciting and surprising news in Science Fiction and Fantasy audiobooks so far this year! Swords of Night and Day, a science fantasy by David Gemmell and narrated by Christopher Kay. I’m unfamiliar with this, but it’s part of a something called the Drenai series. Wow! An excellent month for science fiction audio. Happy listening!